Charming Ukraine photo book is an unusually colorful and interesting publication about Ukraine. More than 800 of authors’ photographs of architectural, cultural and nature monuments from all regions of our country are presented in the book. 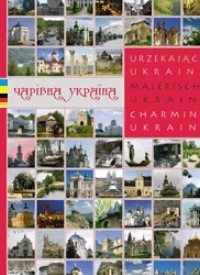 It is a perfect Ukraine travel guide, that’s why it will be a worthy gift for partners, friends and colleagues. It will also be an excellent souvenir for the guests of our country during Euro 2012 Championship. The book is published in three variants: Ukrainian-English, Ukrainian-German and Ukrainian-Polish.